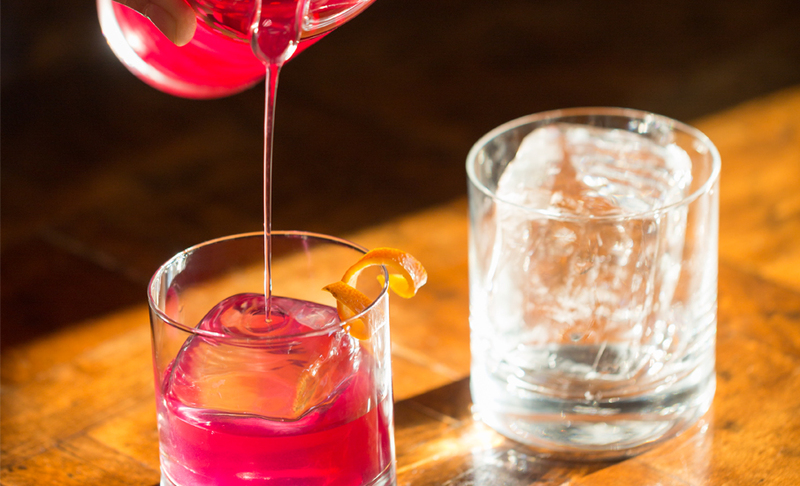 Mixologists know the secret to craft cocktails is in keeping them cool. The craft cocktail revival has led to a sea of change in bartending, from homemade bitters to an explosion of artisan distilleries and individual bottles of scotch that have sold for as much as luxury cars. Given all this, one might think spirits, mixers or herb infusions are the key to exceptional cocktails, but they are not. Asking almost any top mixologist to name the most important bar ingredient will yield the same surprising answer: ice. “If you look at the stove as the heart of the kitchen, we think the same way about ice for drinks—it’s the soul of what we do,” says Jack McGarry, co-owner of New York’s The Dead Rabbit Grocery and Grog, named the World’s Best Bar by the Tales of the Cocktail’s 2015 Spirited Awards, the Oscars of mixology. In order to concoct the perfect type of ice, McGarry and his partner experimented with a variety of freezers, water types and production techniques. “We’ve always had a huge emphasis on ice, going back eight or nine years,” he comments. “[Ice] is actually the most important ingredient in any cocktail,” echoes Jonathan Pogash, owner of The Cocktail Guru, a consultancy for bars, restaurants and liquor brands. “Commercial ice trade began in this country in 1806, harvested from frozen lakes. Before then, all drinks were warm, but ice gave rise to cocktail culture, with new drinks created—like the mint julep—using crushed ice. This renewed interest in ice has resulted in an explosion of specialty shapes in the mixology market, the most common of which are perfect spheres and oversized, 2-inch king cubes. Because a larger cube has less surface area than several smaller ones used together, it melts more slowly. 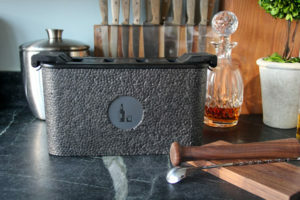 This makes larger cubes desirable for drinks that would quickly become diluted with smaller ice pieces, such as those typically served in rocks glasses. “A larger cube or sphere is perfect for brown spirits like good whiskey,” explains Nic Wallace, head bartender at Sea Island’s River Bar. For stirring or shaking drinks like martinis, smaller, but still substantial, 1 1/4-inch cubes are perfect. These are also the most common choice for cocktails in highball glasses, such as gin and tonic, but some bars use specialty crafted cylindrical spears. Crushed ice is the choice for many tropical or tiki drinks. “These typically have a lot of booze and flavored syrups, so you want it to dilute a bit,” Pogash says. Top-notch bars typically use pebbled ice—tiny, perfectly round spheres from specialty machines—however, similarly crushed ice can be had at home by putting cubes in a blender. One contemporary option Wallace does not endorse are cubes made of stone, “Once they lose their cool, they are done, while ice keeps diluting and chilling the spirit,” Wallace advises. “Crystal-clear ice looks great in the glass.” Wallace notes, explaining that achieving perfect clarity is a bigger challenge than forming the right shape. Clear cubes are also more dense, meaning they melt slower, and taste better, since cloudiness is the result of frozen impurities and trapped oxygen. 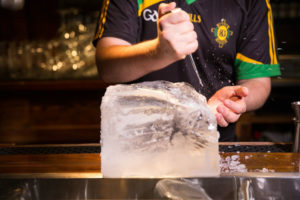 However, because it is an important part of the labor-intensive craft cocktail process, the River Bar makes its ice from scratch. “It’s been a pet project of mine for the past year or so,” Wallace says. In order to achieve clear, quality ice, Wallace uses a technique called directional freezing. Water normally freezes from the exterior inward, leaving remnants of air and impurities trapped in the center of the cube. The directional method uses insulation to force the water to freeze from top to bottom, depositing all of the unwanted elements beneath the block. To do this, he takes a standard cooler, fills it with water and puts it in the freezer without its cover. The water freezes from the exposed top down, leaving heavier impurities to sink to the bottom. He also recommends Wintersmiths, a company that sells directional freezing molds to easily craft clear perfect spheres as well as king cubes.